• Start screen with live tiles - Brings everything you care about front and center. • Personalize with apps - Pin your favorite apps, photos, content, and contacts. • Picture Password - Never forget your password again. Use gestures to sign in. • Windows Store - Open a world of great apps designed especially for Windows 8. • Sync across devices - Your settings and files go with you. Your apps light up with connections to your most important people. Information from the services you connect to Hotmail, Messenger, Facebook, Twitter, LinkedIn, and more appears right inside the Mail, Messaging, and People apps, at your finger tips! Connect across multiple devices you use everyday like a phone or PC, SkyDrive, Facebook, Flickr, and other services, so you can smoothly get to all your photos and files. 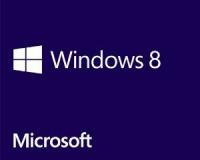 By using Windows 8, your whole computer is “cloud-connected”. You’ll benefit from new Microsoft-Mail, Calendars, SkyDrive, Photo media, People, and Message apps that are linked with services like Facebook, LinkedIn, and Twitter just by intergrating them with your Microsoft account. In Windows 8, apps work together so you can share information between them and streamline your work. For example, the Photos and Mail apps are connected, so you can select a picture from an album in your Photos app and email it to one of your contacts with a single click. No more opening your mail separately and attaching the picture. You can enable apps to include content from SkyDrive, share with your contacts in the People app, and send mail to people you know. Built for speed, Internet Explorer 10 brings you a quicker web experience. Whether loading websites, sharing files, or going to and from sites to apps, it all runs at a speed equal to apps on your own PC. Surf the web with ease. There when you require, tabs and navigation controls appear at the swipe of your finger. To Share websites with friends—just tap and swipe. And pin individual sites to Start for one–click access. Increased security, increased privacy, increased peace of mind: Building on innovations such as SmartScreen & Tracking Protection, Internet Explorer has been made to work with the security platform of Windows to give you more control over your personal information and help to keep you safe from online dangers.